There are two major investigations taking place concurrently at the U.S. Department of Justice; i.e., Special Counsel Robert Mueller’s investigation into alleged Trump-Russia collusion and U.S. Attorney John Huber’s investigation into purported FBI misconduct. The Mueller investigation began in May 2017. U.S. Attorney John Huber’s investigation began in November 2017 after former U.S. Attorney General Jeff Sessions bowed to congressional pressure and selected Huber to look into alleged malfeasance by FBI officials. John Huber, a Utah-based U.S. Attorney appointed by President Obama in 2015, is looking into the FBI’s use of dubious Foreign Intelligence Surveillance Act (FISA) court applications to spy on a Trump associate named Carter Page. He is also investigating the FBI’s handling of the Uranium One deal and probably the FBI’s handling of the Clinton email investigation as well. 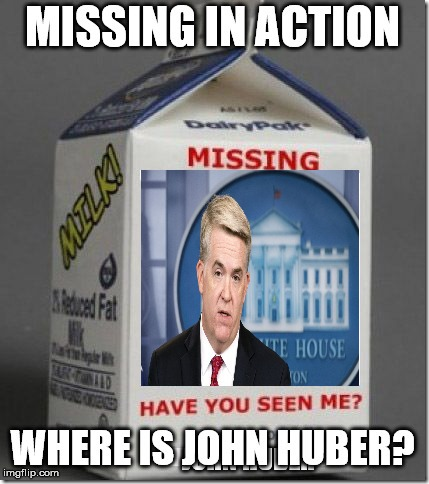 Huber is yet to deliver any report of his findings after almost a year and a half, despite a plethora of incriminating evidence. Most observers would agree that both probes should have ended a long time ago. The question is whether the two investigations are being coordinated internally to ensure that both of them are compatible with each other. If so, it would mean there is a disturbing political component to both investigations, which could directly influence the results. Instead, the investigations should be based on hard evidence and nothing else. After all, it was politics that supposedly led Trump to collude with Russia to swing a national election his way. Political considerations may also have driven the FBI to ignore Russian illegal activities that led to approval of the Uranium One deal by U.S. officials. And it was politics that drove FBI and DOJ officials to exonerate Hillary Clinton and undercut Trump during the 2016 presidential campaign and continue to harass Trump after the election. Therefore, the Mueller and Huber investigations should be based on findings independent of each other without introducing extraneous politics into the mix. The most significant reason to keep the Mueller and Huber investigations separate is that it would be a glaring conflict to do otherwise for it has been alleged that Mueller is trying to cover up his involvement with the Uranium One deal that benefited the Clinton Foundation to the tune of $145 million. Mueller has been accused of ignoring evidence of illegal Russian involvement in the sale of 20% of the U.S. uranium supply to a Russian-controlled company, which occurred during Mueller’s tenure as Director of the FBI. If the two investigations are being coordinated between Mueller and Huber to ensure they are consistent with each other, it is almost certain that evidence embarrassing to the FBI and DOJ will be downplayed or discarded altogether. Given the FBI and DOJ’s penchant to stonewall requests for information, it would not be surprising if the reports from these two investigations mitigate or omit facts that make leaders of the FBI and DOJ look foolish, never mind find them guilty of committing felonies for obstruction of justice, interference with a national election, and perjury, among other crimes. If this is true, it would be a brazen cover-up since considerable evidence of FBI and DOJ misconduct has found its way into the public domain through congressional probes, through Freedom-Of-Information-Act requests by watchdog groups such as Judicial Watch and others, and through reportage in the media. Two weeks ago, Congressman Doug Collins began releasing transcripts of congressional interviews with key FBI and DOJ officials. Not only have these transcripts confirmed suspicions that officials rigged the Clinton email investigation but also that they appear to have defrauded the FISA court. Further, the transcripts of closed-door meetings with congressmen indicate major inconsistencies between sworn testimonies of key players. In other words, some of them were lying under oath, which could and should bring perjury charges along with other criminal indictments. Because so much damning information is readily available for all to see, one can only imagine how much additional incriminating evidence has been collected by investigators within the U.S. Department of Justice. Huber’s investigation has been overshadowed by Special Counsel Robert Mueller’s high-profile investigation which the media has focused on to the point of obsession. Keeping Mueller in the spotlight have been numerous indictments of Trump associates on various criminal charges albeit unrelated to President Trump’s purported collusion with the Russians. Thus far, no evidence of collusion has been shown to have occurred. Huber’s failure to deliver a report after so much time is incredible considering the fact that many FBI and DOJ officials have been fired, resigned or otherwise forced to leave their posts under a cloud of suspicion. Indeed, many of them such as Peter Strzok and Andrew McCabe have online GoFundMe accounts to assist with their legal defense expenses in anticipation that criminal charges will be brought against them. Remarkably, they have not had to withdraw much money from these accounts since no indictments have been handed down against them. Needless to say, this angers many Americans who expect justice to be meted out to corrupt FBI and DOJ offenders the same way justice is meted out to them. So, what is taking John Huber and his team of investigators so long to complete their investigation into FBI abuse? Perhaps Huber is waiting for Mueller to wrap up his protracted probe before he issues his own report. This could allow Huber to shape his findings and conclusions to be consistent with Mueller’s report, which is problematic as discussed earlier. If the two reports are inconsistent, it could be extremely embarrassing. For example, if Mueller’s report finds that Trump did indeed collude and conspire with Russian interests to influence the outcome of a national election in his favor and later on Huber finds that the FBI rigged their investigation into the Uranium One deal and Clinton’s handling of classified information, and knowingly used an unverified Trump-Russia dossier to obtain and renew a FISA warrant, why would anyone believe Mueller who depended on FBI sources to gather his evidence? So far, the Mueller investigation is hogging the spotlight allowing Huber to temporize in its shadow. At some point, however, full attention will shift to John Huber and he will have to deliver. So far, no FBI or DOJ officer has been indicted in the face of mounting evidence that they allowed political considerations to dictate their decisions instead of applying equal justice under the law. It is hard to see how Huber can dance around the hard facts, but never underestimate the ability of the deep-state to close ranks and protect their own. The odds are that Huber will delay issuing his report until he is compelled to do so. And when he does, expect a whitewash that slaps a few bad actors on the wrist. Alternatively, it is possible that Huber might surprise us by arresting his former associates at the FBI and DOJ, but don’t bet on it. Just like Trump was bedeviled by his selection of Jeff Sessions as U.S. Attorney General, so has Jeff Sessions’ legacy of selecting John Huber to investigate misconduct by FBI officials bedeviled the bedrock American principle of equal justice for all. Justice delayed is justice denied. Fake justice is worse; it’s no justice at all.